If you really think about it, you can tell a lot about your little one just from which Inside, Out character they most easily identify with. What? You think we wouldn’t pull out the psychology for this item? It’s a movie about feelings! Anyways, as we were saying...we’re not doctors or anything, but it seems pretty straightforward. 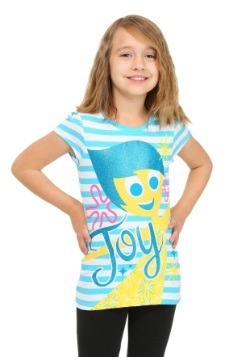 If your kid affiliates with Joy, she’s a happy go-lucky, glass is half-full kinda gal. If it’s Anger your child loves, then it may be time to enroll him in boxing or martial arts. If your child feels affinity for Fear, then you may want to suggest a calming yoga practice and some relaxing herbal tea; of course, seeking out Sadness indicates their need for a good cry, perhaps. 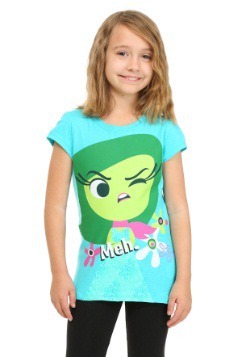 But your little lady just LOVES Disgust for her sassy humor and sensitivity to all things gross, which means you have a fierce and feisty gal on your hands who knows exactly what she does (and does not) want...like broccoli on her pizza. 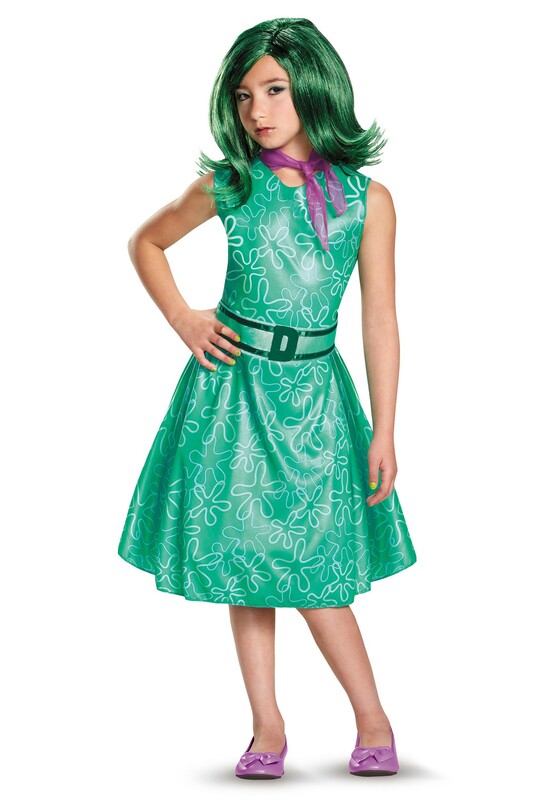 This Inside Out Disgust Classic Girls Costume will definitely pass muster for even the most scrutinizing emotional sensor in your kiddo’s brain. In fact, the very moment that she lays eyes on this cool costume may become a core memory for life. 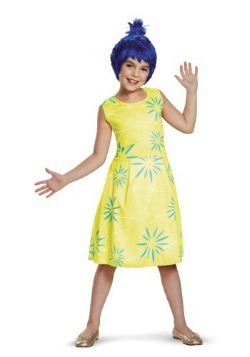 Get her pals together for a fun group theme or let her stand out all on her own, decked out in this licensed dress and wig combo. Help her practice her best “appalled” tone of voice by serving up extra green veggies for weeks on end leading up to her performance; she’ll thank you for it when she notices just how cool Dress-Up Island has become!